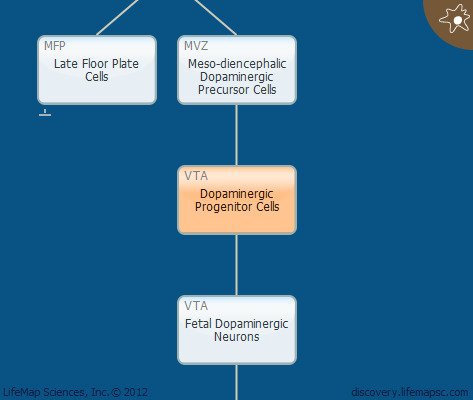 Dopaminergic progenitor cells are post-mitotic cells that migrate ventrally from the ventricular zone, along radial glia, to their final destinations in the tegmental mantle layer. During their migration, they start to express tyrosine hydroxylase (TH), the rate-limiting enzyme in dopamine synthesis. They also start to express Nr4a2 (Nurr1) and Ddc (Aadc).